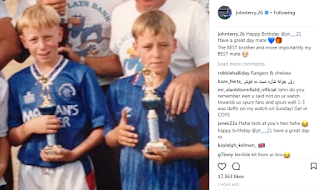 When John Terry confirmed he was leaving Aston Villa some days ago, the instant conclusion on many Rangers fans’ minds was a switch north. The 37-year old former England stopper, outstanding in Birmingham last season, cited his emotional devastation as to why he was leaving, having heartbreakingly failed to secure promotion with the Villans despite the amount he’d given, physically and mentally. Manager Steven Bruce was even more gutted to lose his best player, admitting he would be an absolutely massive loss. In fact, apart from the marquee strikers and wingers in the EPL (who even the best defenders in that division struggle against) Terry showed last season that he is still a top level centre back capable of playing at the highest levels of the game. Hence when he became available, a great number of Rangers fans expressed a desire for him to join his old England buddy Stevie Ger at Ibrox. With Rangers’ long-standing relationship with Chelsea, Terry is only too well aware of the club and its standing, and despite his advancing years, if he moved north he would be by miles the best defender in the division. Gerrard has to be interested – there has been talk that Rangers’ manager is working on trying to get him to Govan, but his old Chelsea stomping partner Frank Lampard is also trying to get his buddy – but would Terry want another club in the Championship following a heartbreaking end to last season? For us, wages aside, Rangers and Steven Gerrard hold the aces. Terry knows all about pressure, having fought for titles with Chelsea – and he knows exactly what Rangers are about. He might have grown up ‘a bit of a Celtic fan’ but frankly we don’t care. Derby, with all due respect to them, would be a slightly sidewards move – a team in a similar position to Villa with the same rigmarole over their chances of promotion – does Terry really want the same battle all over again? It’s why he quit Villa. But Rangers are different – a sleeping giant going through a real potential metamorphosis bringing good quality players in and trying to launch something akin to a title bid – and with a legend like Stevie Gerrard as manager, it is anything but a foregone conclusion that Terry would reject the move. Of course, there’s China and its money – but Terry has already made his millions in the game – sure, he could get filthy rich on top of being rich, but would he really want a move across the world at 37? Rangers cannot compete on financial terms with China. Frankly we barely can with Derby. But you never know – Stevie Ger could be a carrot for Terry, and if anyone else can name a better defensive player/coach/leader than Terry for this era, we’d love to hear it. Stevie, it’s over to you! It will not happen but I'd love it if did! 37 in our league? He'd breeze it. However all the signs suggest he'll go to Derby. Would be another Alves. I've had enough of older players on the way down. The one signing we absolutely MUST complete, make it happen Stevie. Would have loved it to happen tho! We all know the quality of him. A no-brainer if we can afford him. John Terry,will follow SG and FL he must be thinking of getting his own team.